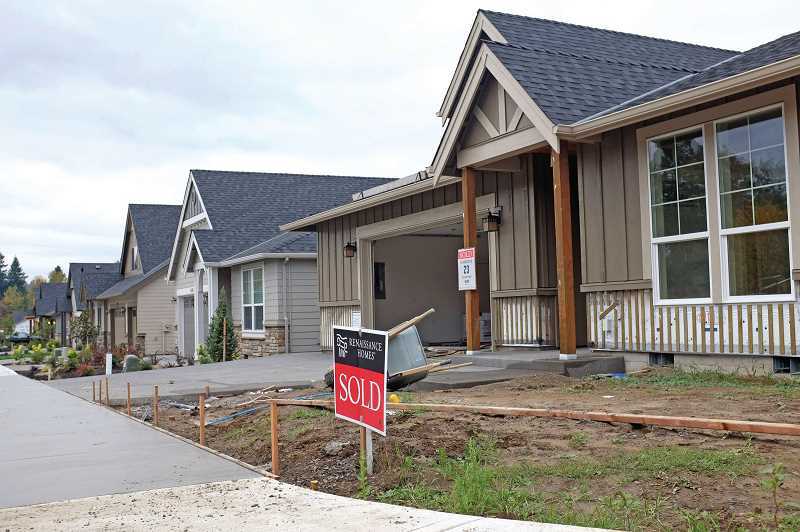 As housing affordability and density remain on the minds of many Wilsonville residents, the City of Wilsonville is beginning to more thoroughly assess its housing supply and future needs. The City recently began developing an Equitable Housing Strategic Plan, which will attempt to determine if certain demographics are underserved by the City's current housing supply. It is contracting with the economic consulting firm ECONorthwest to complete the study. Wilsonville Planning Director Miranda Bateschell said the City also will form a congruent taskforce of community stakeholders — who will provide input on the findings — and that the project would likely be completed next year. "We're looking at not just expected growth and potential demand but also demographics and market factors to see where there are gaps in our housing supply versus housing needs and policies or actions to help address those gaps," Bateschell said. "We want to understand if we have enough housing for people who make 100% of area median income, 50% and over 120%. We want to look at people across the spectrum from high income to low income." However, the City already has some data to ponder. According to the City of Wilsonville's recently released 2018 Housing Report, the average income in Wilsonville grew by nearly 8% last year and the average home sales price grew by 3%. This was the first time in at least four years that income growth exceeded growth in sales price. . Bateschell wasn't sure if the trend reversal was a result of Wilsonville residents earning more money, more affluent people replacing less affluent people or another factor. "It's good we are seeing median household incomes go up a bit and that increases in housing prices are starting to stabilize after several years coming out of the recession where housing prices were going up significantly," Bateschell said. "But if you're looking at some of the other charts and data in terms of the price of a home in comparison to household median income we're still looking at gaps for home ownership and renters in terms of the traditional definition of affordability." For instance, the housing analysis showed that the average home in Wilsonville costs 31% more than what the average household can reasonably afford, that the average monthly price for paying off a mortgage was 39% of a family's median income — assuming a 20% down payment, a 4.33% interest rate and a 30-year loan — and that the average rent price for multi-family housing is 23% higher than what the average Wilsonville renter can afford. Bateschell said she would wait for the results of the ECONorthwest study before positing solutions to housing burdens. Also, according to a recent Portland State University analysis, 17.6% of Wilsonville residents are severely rent burdened, meaning they pay more than half of their income on rent. But that number was lower than most other metro area cities including Portland (28.2%), West Linn (20.50%) and Lake Oswego (25.7%). Wilsonville has about a 50-50 mix of single family homes and multi-families homes and Bateschell attributed the lower rent burdens than similar metro area cities to housing diversity, though she said it was a complex issue. Also, while the City added just 12 multi-family units from 2015 to 2017, it added 56 in 2018. Bateschell said the 56 units came from just one project and that multi-family developments typically are added all at once whereas single family developments are often added more incrementally over a multi-year span. According to a previous Metro analysis, the City would run out of residential land by 2025 if it continued to grow at its current rate. But with the addition of Frog Pond South and East into the urban growth boundary in 2018, the City's housing supply won't be exhausted for the foreseeable future. Metro also required that the nascent areas have housing diversity. Bateschell said that, in theory, this addition of housing land could lead to lower prices. "If you don't have adequate supply, prices go up. As a region and a state we see there will be continued growth," Bateschell said. "By providing additional housing in the community we will be able to help with supply and demand and keep prices down."